Reza Khandan and Farhad Meysami were both sentenced to six years behind bars and banned from leaving the country or engaging in online activities for two years for peacefully protesting the country’s compulsory hijab law. The sentence was handed down by the Tehran revolutionary court, the state-run ISNA news agency reported. Mohammad Moghimi, who represents both defendants, said they would appeal. The husband of jailed Iranian human rights lawyer Nasrin Sotoudeh, Reza Khandan, who was arrested at his home in September, was bailed out last month. 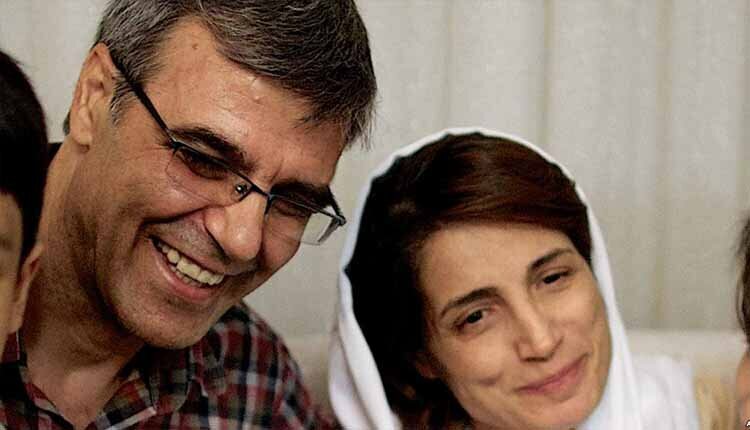 Reza Khandan has publicly campaigned for the release of his wife, Nasrin Sotoudeh, who was arrested on 13 June. She had already been found guilty in absentia of espionage charges and sentenced to six years by the Tehran revolutionary court. The charges against her stem from her work defending women who have been prosecuted for peacefully protesting against the abusive, discriminatory and degrading practice of forced veiling (hijab). A skillful lawyer in command of legal affairs and the due process, Nasrin Sotoudeh deems her arrest as unjust. In August, she sent out an open letter, explaining the reasons for her refusal to appear before the court and present her defense. She also did not accept to be released on bail. In protest to her unfair arrest and prosecution, she went on hunger strike from August 25 until October 3, 2018. The EU has expressed concerns about her ongoing incarceration. Farhad Meysami, 48, a doctor and publisher before becoming a civil activist, was arrested in his office in July and taken to Tehran’s notorious Evin prison.